Pioneers first settled in the Mosquito Creek Community (Nanton area) in the late 1800s and early 1900s. On June 22, 1903, a village was formed and named Nanton, after the late Sir Augustus Naunton (1869-1925). Sir Augustus Naunton was a partner in the financial firm, Osler, Hammond and Nanton, of Ontario. He was sent by the firm to the west to investigate investment in farm mortgages. Renowned for his sound judgment, he became the director for many companies, including the Canadian Pacific Railway, Hudson’s Bay Company, Great West Life, and Dominion Bank. He arranged financing of the Calgary and Edmonton Railway, sold subsequently to the Canadian Pacific Railway. 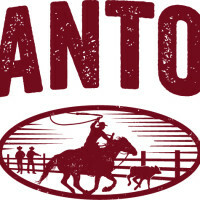 It was his close association with these two companies that led the community to name the village Nanton and in the summer of 1907, the town was incorporated. Nanton is home to unique attractions including the Bomber Command Museum of Canada, Nanton Candy Store, Antique and Art Walk of Alberta, The Canadian Grain Elevator Discovery Centre, Museum of Miniatures, and many more. With the surrounding open prairies to the east, picturesque rolling hills to the west, easy access to larger centres to the north and a close proximity to the U.S border to the south, Nanton is worth taking the trip.